With Mother’s Day coming up this Sunday I, for one, am really looking forward to that rare lie in and if I’m lucky an edible breakfast in bed and lots of cuddles. All of which, don’t or shouldn’t cost a thing. The subject got me thinking and as they say ‘nothing in life is free’ and Mother’s Day is now a key date in the marketing calendar for many brands. A huge amount of media budget is now spent by brands this time of year to persuade us all to part with our money to treat Mum this Sunday. One of the reasons Mother’s Day has become such a big deal in the media calendar is that we are all fit within the target market: Male or female; young and old. A large percentage of the UK population will be making additional purchases, therefore spending more money in the run up to this Sunday and many brands want a slice. Leading the spending are the sons rather than daughters who will be splashing out an extra 29% more on the occasion. This can cause a bit of a headache for advertisers as men don’t tend to plan or prepare for the event as they are more likely to purchase on impulse. 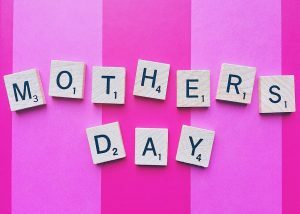 According to Mintel Research, one quarter (24%) of men who bought gifts for Mother’s Day last year said they bought on impulse, compared to 18% of women. Despite this, more women than men splashed out for Mother’s Day last year – 62% of women purchased gifts, compared to 57% of men. Unfortunately, this spending trend is not mirrored by Father’s Day with less than half of Britons spending money on the occasion. Sorry Dad’s! Thinking about marketing opportunities for Father’s Day? Get in touch. Wishing all you mum’s out there a very Happy Mother’s Day.